A beautifully presented Prosecco in a luxury metallic Miniature 20cl bottle. Perfect for Parties, arrival drinks or gifts. A pale straw yellow in colour with a rich and persistent foam and fine perlage. The bouquet is clear, full of floral and fruity characters with subtle scents of green apples and pear. A fresh and harmonious palate. Elegant and sophisticated. 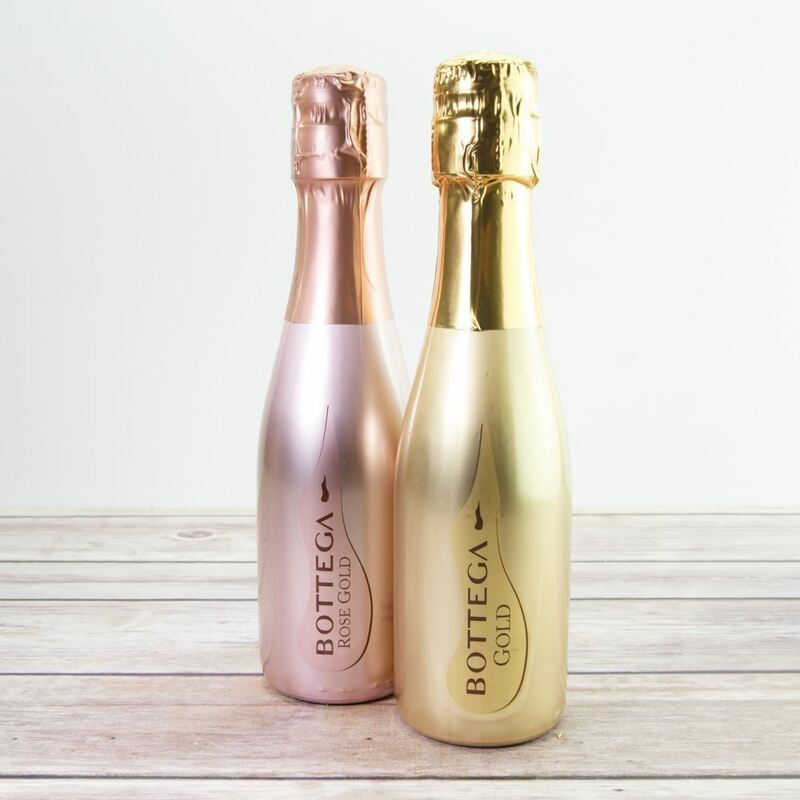 The perfect gift for any prosecco lover. Also ideal for wedding favours, bridesmaid boxes and for getting ready on the morning of the wedding and great as a Christmas gift. Why not team it with our yummy prosecco gummies?